Jewish life is a vital part of Maurice Zeffert Home. 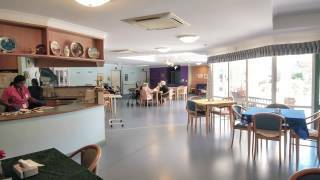 Residents enjoy a warm, heimish (homely), Jewish environment with a strong emphasis on belonging and family. With its roots in the community, Maurice Zeffert Home plays a special role in providing a base for Jewish celebrations, particularly among older community members and families. We are also conscious of the knowledge and experiences of residents gained over lifetimes and of the importance of preserving Jewish culture and tradition. 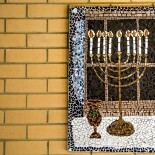 Traditions and Jewish festivals are observed in meaningful ways. Happy events such as Yom Ha’atzmaut are celebrated, while solemn occasions including Yom Hashoah and Yom Hazikaron are also commemorated. 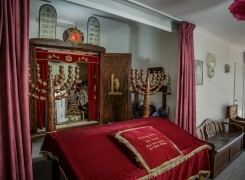 Synagogue services are conducted every Friday night and Shabbat morning as well as the High Holy days and festivals at the Homes Shule. Services on Shabbat are followed by a Kiddush. Relatives and friends are encouraged to attend and participate. 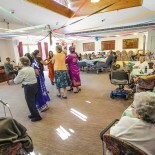 Residents are served traditional Jewish-style food and special dishes are prepared for each festival. Families are invited to join their loved ones on Rosh Hashanah and Pesach for family meals and these are very joyous occasions. Take a tour of the Maurice Zeffert Home. See how you can get involved with our community today! 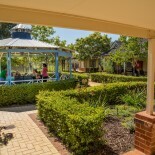 Click here for more information about our Retirement Village & Home.